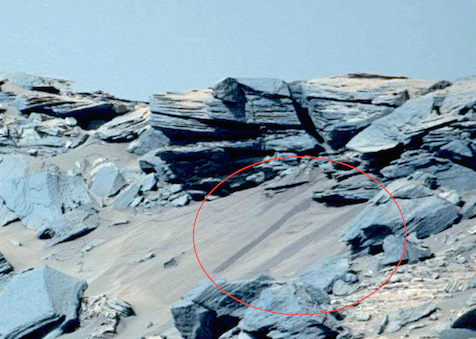 UFO SIGHTINGS DAILY: Water Running Down Ridge On Mars, Near Curiosity Rover, NASA Caught Faking Colors Again, May 2016, Video, UFO Sighting News. 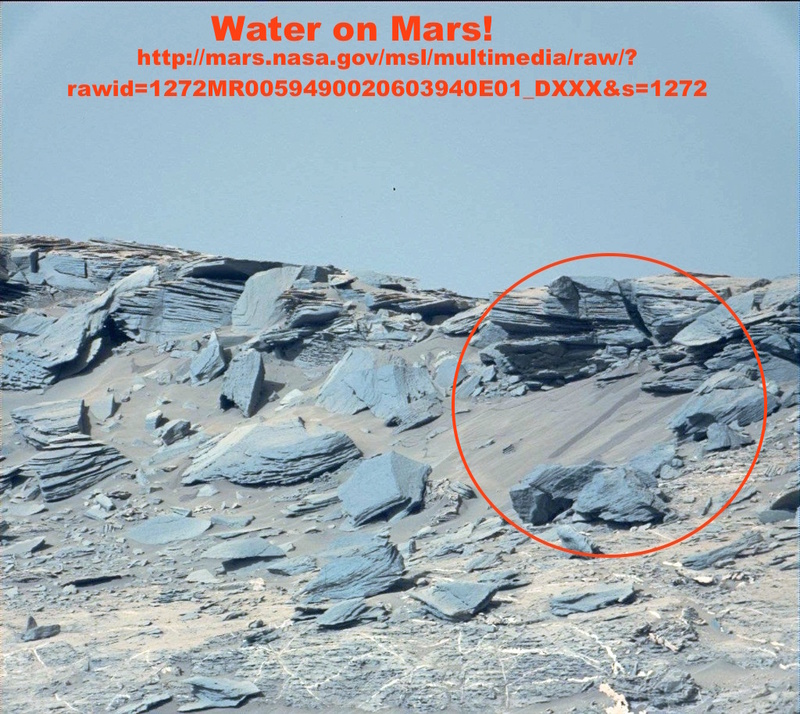 Water Running Down Ridge On Mars, Near Curiosity Rover, NASA Caught Faking Colors Again, May 2016, Video, UFO Sighting News. Check this out guys. Not only did Whatsupinthesky37 bust NASA for ignoring three steams of water running down a ridge on Mars, but he caught them faking colors so it looks less like Earth. 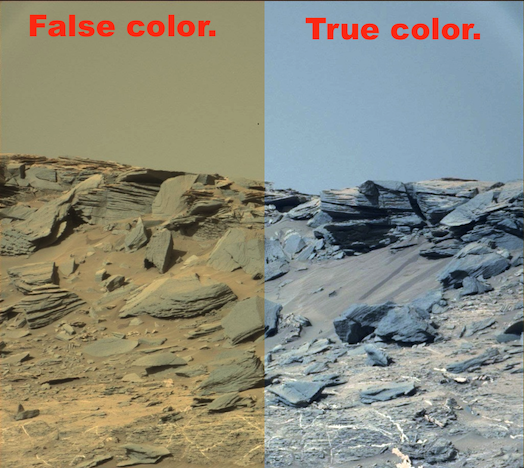 Yeah...they used a false color to make people believe its a red planet and that the sky is red, but really many of the rocks are a bluish grey and the sky is blue. Awesome photo. Thanks to Neville Thompson and the sharp eyes at the what's up the sky group on Facebook we now have another couple pictures of water seeping from the Martian surface. Add this to about 20 we have and I hope to have a PDF file to send to NASA and the media very soon.